Who would have thought! 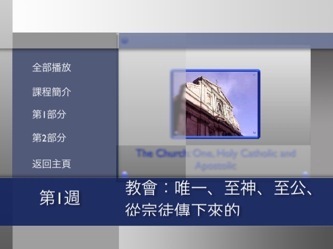 We are working with the Archdiocese of Hong Kong to produce Catholicism 201 in Chinese and we are almost finished. The entire course has been translated into traditional and simplified Chinese and the subtitles have been prepared. We are now working on the documentation and DVD jacket and labels. Our contacts in Hong Kong hope to bring Catholicism 201 into China.